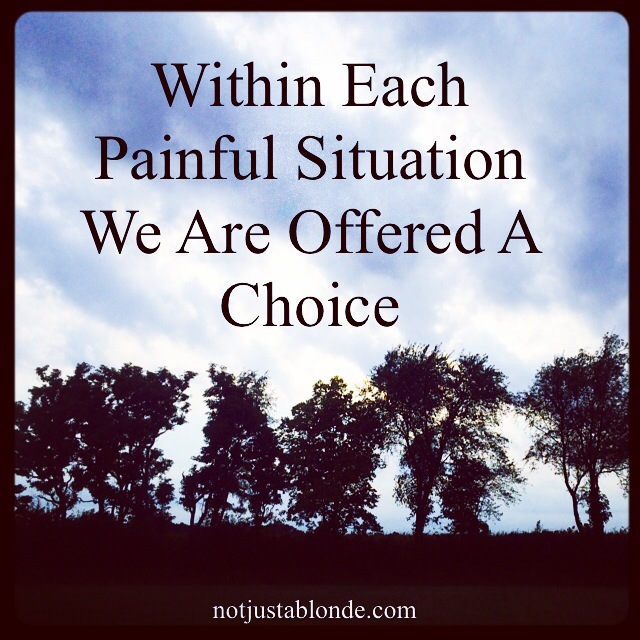 Pain offers us a choice. One choice leads to life and light and the other to suffering and death. The choice, of course, is ours. Pain absolutely can destroy us if we let it. With the fuel of our pain we can perpetuate it’s destruction. Each of us know folks who have let pain destroy their lives and ruin the lives of those they love or who randomly cross their path. This is so tragic. It does not have to be so. There are those who survive unbelievable circumstances and suffering. Without exception these folks open up their lives to others for healing and hope. They are seekers seeking solutions, remedies and healing. Actively looking outward from their pain they can see the miracles that appear in their path and embrace them! From addicts in 12-step groups to grieving mothers who are a part of support groups, those in pain often find each other and together can pull each other through. Together with the power of love those who suffer pain can a live life more abundantly.